A search engine that knows the answers to what you need before you even think to search? That’s not science fiction. 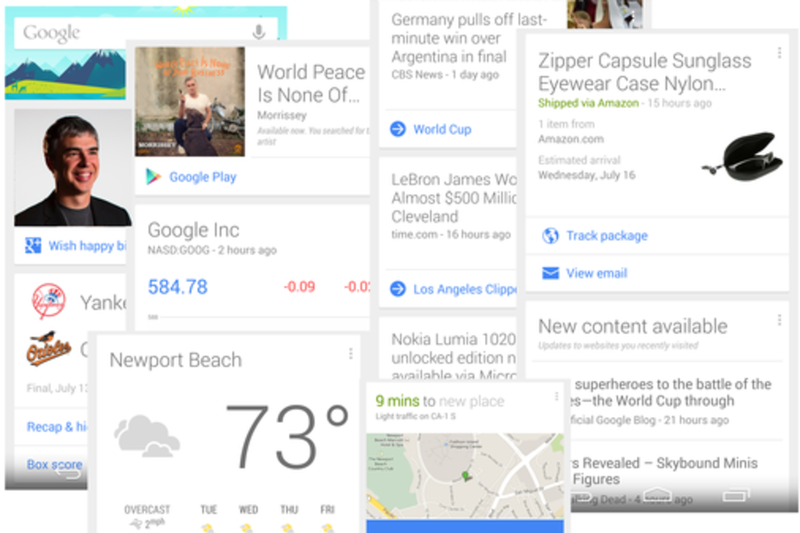 That’s today’s reality with Google Now, Google’s predictive search feature that's part of the Google app. It has grown rapidly since first launching about three years ago: it now automatically figures out when you need to leave to the airport for a flight, finds articles of interest, notifies you about new movies that are out and much more. In this Q&A session with Google, you’ll learn more about the magic that goes on behind the scenes, how Google tries to balance learning about you with respecting your privacy and where the tool and its predictions are headed. Widely considered a leading "search engine guru," Danny Sullivan has been helping webmasters, marketers and everyday web users understand how search engines work for nearly 20 years. Danny's expertise about search engines is often sought by the media, and he has been quoted in places like The Wall St. Journal, USA Today, The Los Angeles Times, Forbes, The New Yorker and Newsweek and ABC's Nightline. Danny began covering search engines in late 1995, when he undertook a study of how they indexed web pages. The results were published online as "A Webmaster's Guide To Search Engines," a pioneering effort to answer the many questions site designers and Internet publicists had about search engines. Danny Sullivan is currently a Founding Editor of Search Engine Land. Danny also serves as Chief Content Officer for Third Door Media, which publishes SearchEngineLand.com & MarketingLand.com and produces the SMX: Search Marketing Expo conference series.